Image: Pete V. Domenici U.S. Courthouse pre-construction, courtesy of Biohabitats, Inc. Image: Pete V. Domenici U.S. 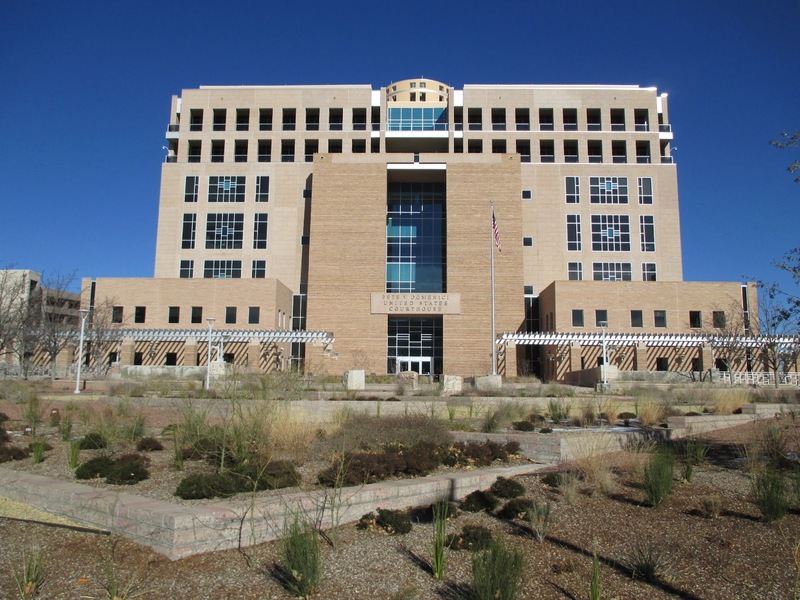 Courthouse post-construction, courtesy of Biohabitats, Inc.
A conventional landscape of "turf grass, impermeable paving, and high water-use plants" in arid Albuquerque was retrofitted with water sustainability in mind by Rios Clementi Hale Studios (Lead Landscape Architect) and Biohabitats, Inc. (Civil, Water Reclamation, Plumbing consultants) among others (see the Sustainable Sites profile for the complete project team). Image: Pete V. Domenici U.S. 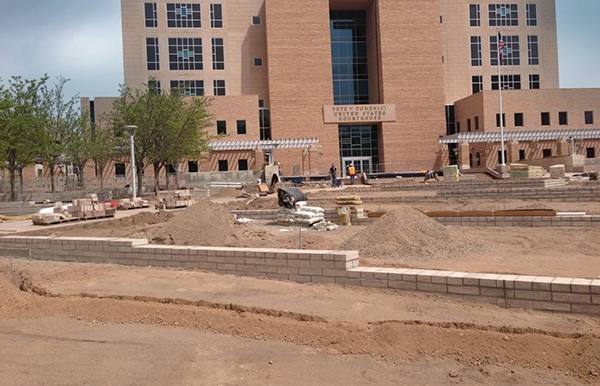 Courthouse during construction, courtesy of Biohabitats, Inc. 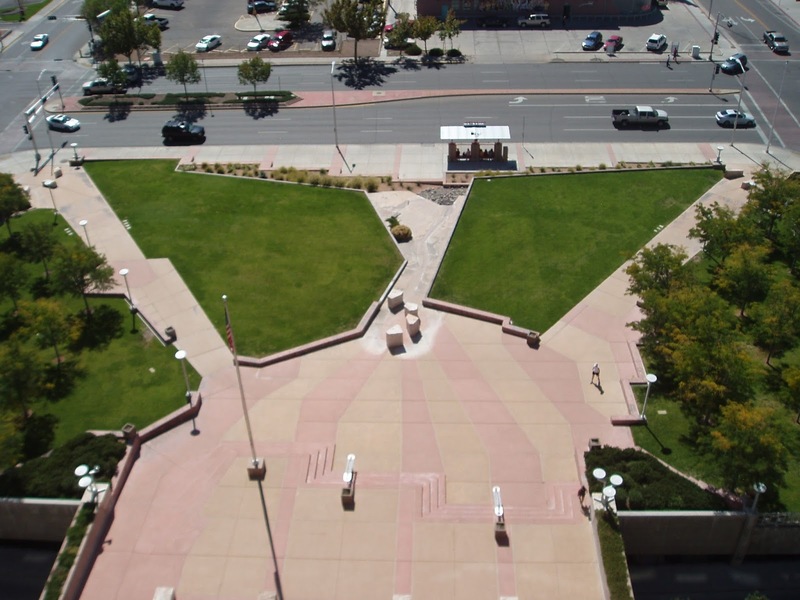 The landscape in question is the 4.4 acre Pete V. Domenici U.S. Courthouse. A lot of concrete was removed - "over 21,000 square feet of existing concrete" - and a 16,000 gallon underground cistern was installed. The combination of the rainfall-capture cistern and the replacement of turf with native plants has led to a 86% plus reduction in the site's water use. Other green stormwater infrastructure features, installed by Biohabitats, include vegetated swales, rock gardens, biofiltration beds, an efficient drip irrigation system, and "a flow meter along the sidewalk [to generate] public awareness of the rainwater collection system." The dramatic planting design is based on the Rio Grande Floodplain Bosque ecology with a "palette comprised of drought adapted plants and 79 percent native plants." 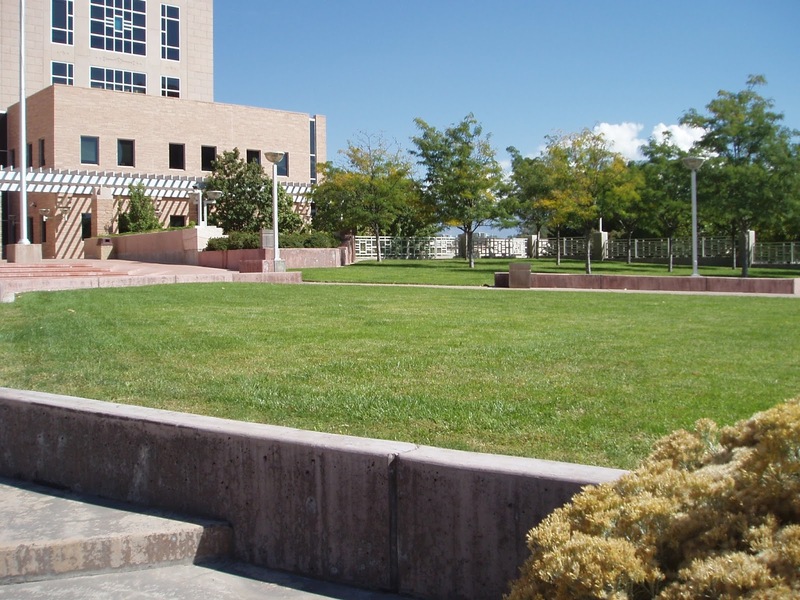 Check out the New Mexico Museum of Natural History's Bosque Education Guide. 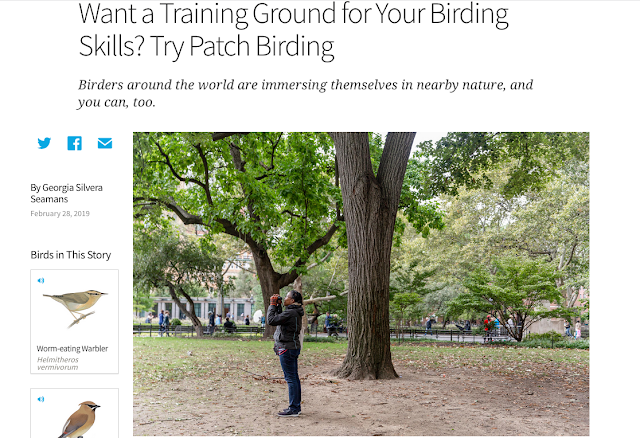 Our thanks to Jean Wisenbaugh of Biohabitats, Inc. for providing the photographs used in this essay. This is a great example of how we can beautify city environments and become more sustainable. Thanks for sharing! In St. Louis, we're working on something called the CityArchRiver 2015, which will provide an immense economic impact for the St. Louis region. Over the past few years, attendance at the Arch grounds has steadily declined. These improvements will bring back the togetherness of our city while bringing an added impact of $367 million and 4,400 permanent hobs to the region. That's the equivalent of one additional St. Louis Cardinals baseball season each year, which is pretty astounding. I might have just a little too much excitement for this project, but it's going to be great when it's all said and done. And plenty more green space too!